As proud SSD representatives for the disabled, your rights and interests are our priority. If you are interested in seeking Social Security Disability benefits in North Carolina, our experienced representatives at Golson, McCracken Inc. can provide you with the caring guidance and advocacy you need. When it comes to SSDI, we believe that there is no case too small. From our family to yours, we are here to make sure you are protected for years into the future. The requirements for Social Security Disability eligibility are relatively straight forward, even if the task of proving eligibility is not. We are well-versed in all areas pertaining to determining eligibility and we can help you establish a need for Social Security Disability. You have been diagnosed with an injury or illness that has made you unable to work or hold a job for the past 12 months. You have been diagnosed with an injury or illness and it is expected to force you out of work for at least 12 months. You are suffering from a terminal condition. You must have accumulated sufficient credits by working for a long enough period of time at a job where your paycheck was subject to the Social Security payroll deduction. SSD is not a means-tested program in which the value of benefits is based on need. Instead, the amount that you can receive depends on how long you have worked and how much you have earned over the course of your career. Even if you are eligible on paper, however, there is a good chance that the SSA will challenge your claim. For example, questions may come up concerning whether or not your condition actually prevents you from working, or there may be disputes concerning your earnings history. You may be able to receive Supplemental Security Income (SSI) benefits if you have limited financial resources and income. SSI is available to individuals who are disabled, blind, or elderly (aged 65 or older). SSI is a means-tested public assistance program, and benefits are based upon the recipient’s countable income. Albright v. Commissioner of the Social Security Administration, 174 F.3d 473 (4th Cir. 1999) (Interpreting Lively v. Secretary of Health and Human Services) – Effect of Prior Disability Findings on Adjudication of a Subsequent Disability Claim – Titles II and XVI of the Social Security Act. consultation and we demand no fees up-front. We are here to make sure you are approved for the benefits you and your family need. In the event that your claim is initially denied, we can help you appeal the decision through the various stages of the process. We guide you through submitting a request for reconsideration and scheduling a disability hearing before an administrative law judge. 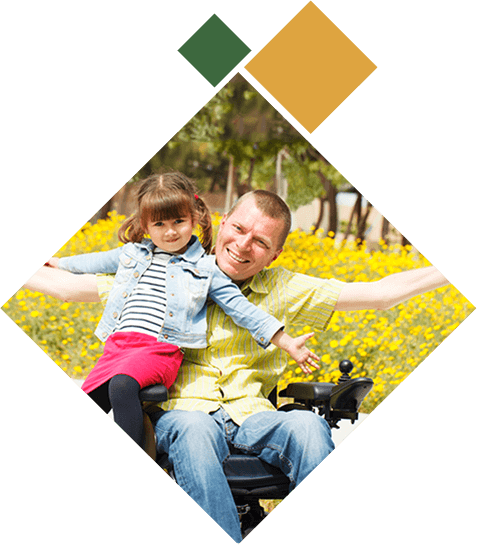 We can fight for your right to receive the disability benefits that you deserve, including both current and retroactive benefits. We provide each client with attentive, personalized, and tailored guidance from beginning to end. Tip the Scales in Your Favor with Help from Golson, McCracken Inc. Hiring us can mean the difference between getting all the benefits you and your family should receive or just getting by. Our team has nearly two decades of combined experience, and we have a proven track record of success in helping our clients maximize their claims. In fact, we have recovered more than $25 million in lifetime awards for the people we have represented over the years. We are sincerely committed to helping our clients in every way we can, and the quality of our service is reflected by the fact that more than 50% of our current clients were referred to us by people who have hired us in the past. We have helped thousands of people navigate the complex maze of the Social Security application process as well as file claims for Supplemental Security Income, Medicare and Medicaid, and veterans disability benefits, and we are ready to get started on your case today. There were more than 2.8 million new applicants for SSD benefits in the year of 2012 alone. Out of the millions of applicants, only 979,973 were approved. This means more than 1.8 million people were denied of their SSD benefits, – nearly 2 out of every 3 new claims. You owe it to yourself and your family to take action to avoid waiting so long only to learn that you are being denied benefits. Come to Golson, McCracken Inc. for help from our team of North Carolina Social Security Disability experts. We are located here in North Carolina and we can meet with you personally to discuss your case. Unlike many of our competitors, we take the time to personally speak with every single client and to meet with them face-to-face. We respect our clients and treat them as the people they are, not just case numbers as other firms tend to do. No case is a “small” case to us; we take on children’s disability claims along with claims for adult clients. 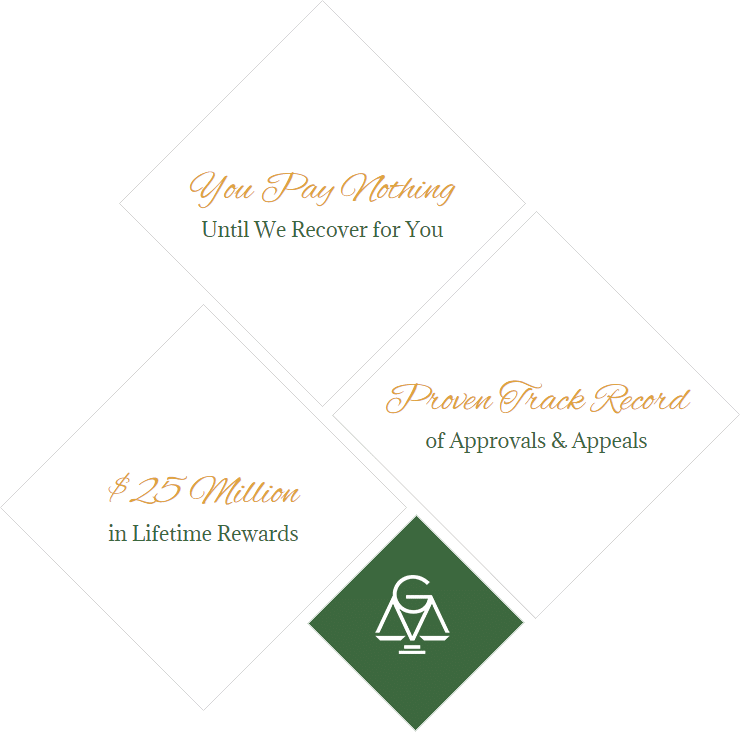 Throughout the process – from gathering documentation and medical records to submitting the claim and expediting the process to appealing the claim when necessary – we work closely with our clients to help further their goals and objectives. Ready to move forward with your case? Take the first step now by filling out our client intake form so that we can determine whether you are eligible for benefits and to get started. We want to give you meaningful support at every stage of the case and give you the confidence of knowing that your claim is in good hands. As part of that effort, we maintain regular contact with claimants throughout the handling of their cases. Contact Golson, McCracken Inc. today. Our initial case consultations are free and can be conducted in-person or over the phone with a kind and helpful member of our staff. The professional who will be handling your case will then follow-up with you about how to progress your case even further forward. If you need a strong advocate to assist with your Social Security Disability case in North Carolina, call now! Contact us at (888) 529-3678 or local callers can dial (919) 294-4171.